Debbie Little has been a licensed REALTOR® since 1996 and served as Magnolia Realty’s Broker/Owner until her company’s merger with Hill Real Estate Group in 2015. 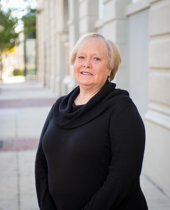 Debbie has been a member and chair of numerous Meridian Board of Realtors® (MBR) committees. She has served on the MBR Board of Directors and is a Mississippi Realtors® State Leadership Alumni. She was chosen through the Meridian Star’s Readers’ Choice as Realtor® of the Year and was also voted as the MBR Realtor® of the Year. Debbie is a member of Sharp Memorial MP Church where she teaches adult Sunday School class and plays piano. She is the president of the Women’s Missionary Society and enjoys ministering to others through mission trips. She has been married to her best friend, Jeff, for over 45 years, and they have two children and four grandchildren. She enjoys anything outdoors, including ziplining, camping, and hunting. Let Debbie's vast experience and knowledge work for you!